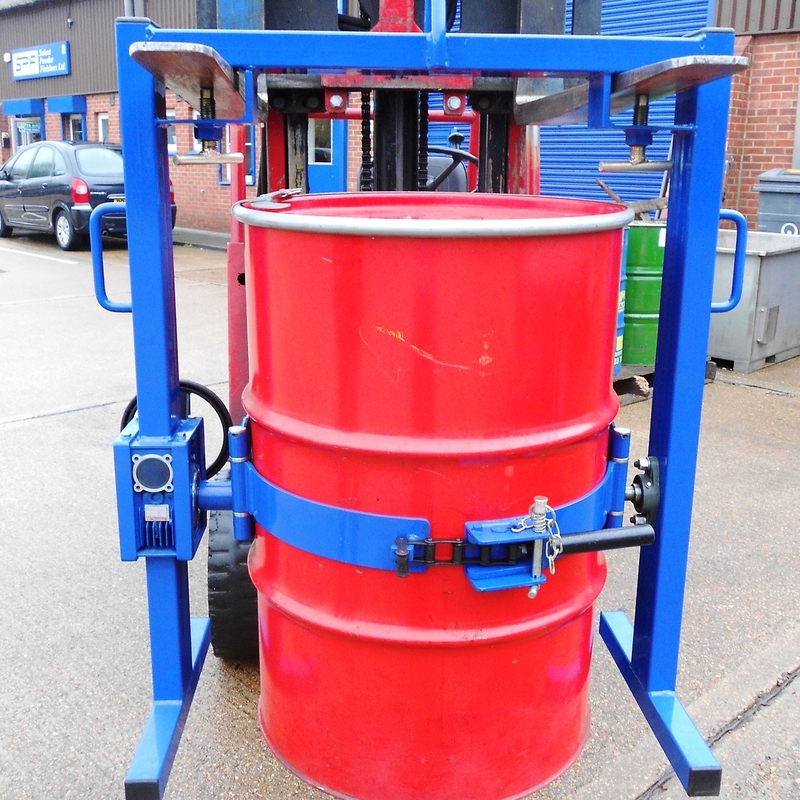 The Grab-O-Matic SC10-OH Overhead Drum Rotator is for the lifting and rotating of steel or plastic drums to dispense the contents in a controlled manner. 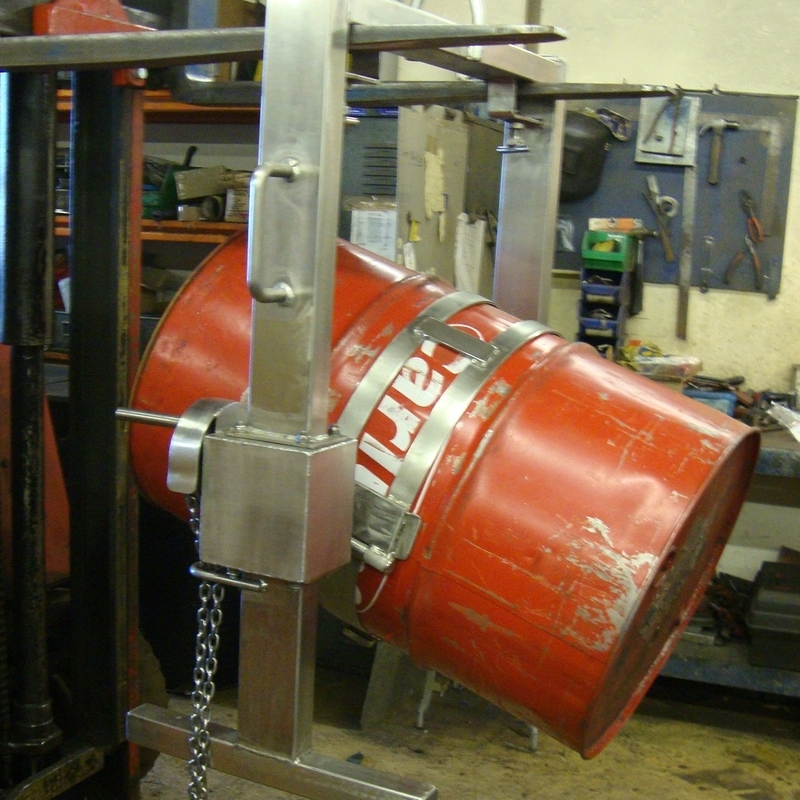 The drums are clamped in a steel hoop with an adjustable clamp and locking pin, the forward rotation is via a hand operated gearbox that allows full control throughout the dispensing process, The drum turner can be hung from the hook of an overhead crane or secured to the forks of the truck with zinc plated ‘T’ bolts. 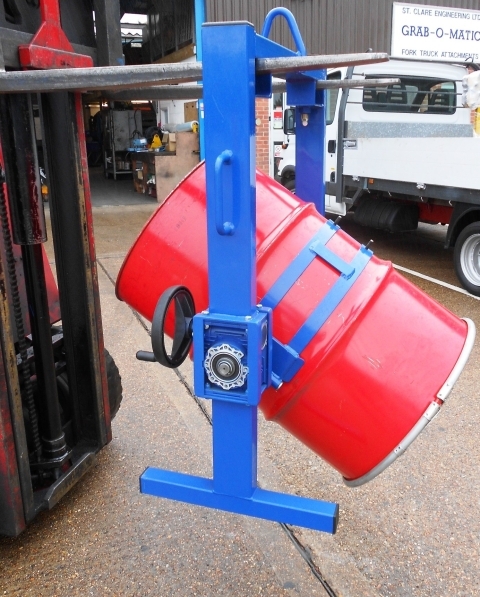 Optional extras are available for the SC10-OH such as the Safety Adaptor when lifting and tilting smooth sided plastic drums, webbing and ratchet drum clamping system, chain wheel and chain for dispensing above 1.5m. 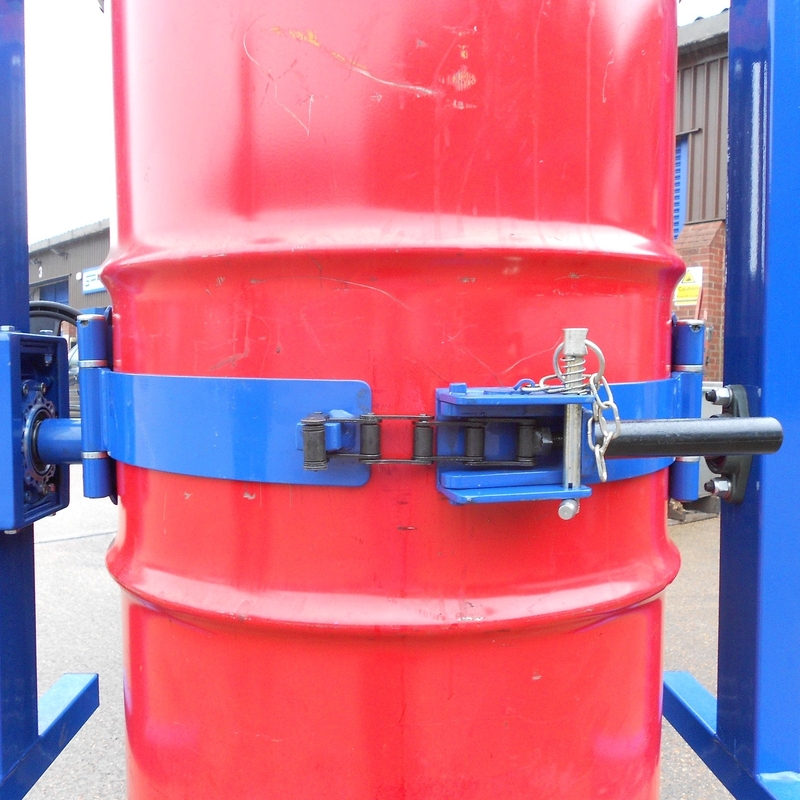 A Fork Attachment drum rotator is available model SC10 for use with the forks of a fork truck and a Heavy Duty unit for steel drums up to 1000kg model SC10-HD. The standard SC10-OH is fitted with the adjustable overcentre chain clamp and locking pin. Power rotation options are available. These are bespoke items made for customer requirements. 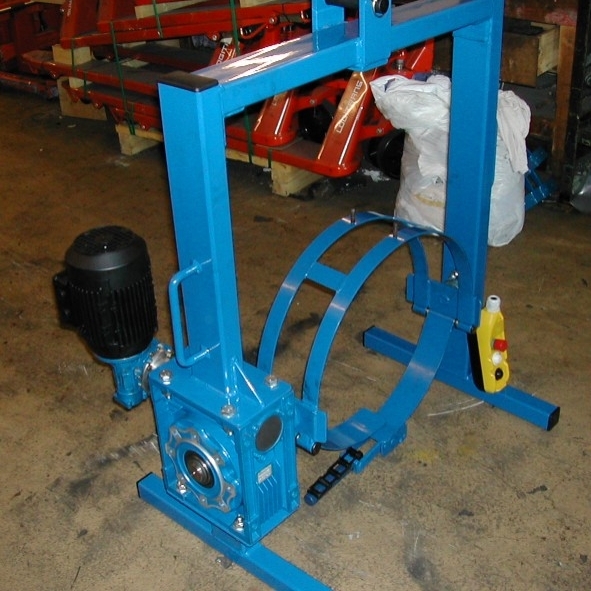 Heavy duty units are available and are manufactured bespoke to customer requirements. Stainless steel units are available for clean room or ATEX spark proof areas manufactured bespoke customer requirements. 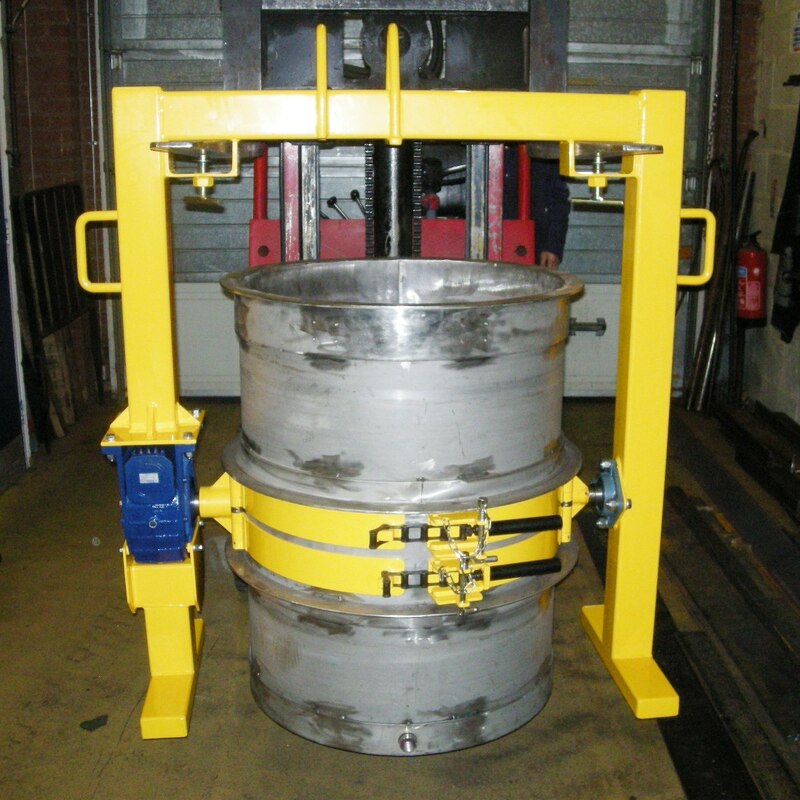 Standard units can be hung from the hook of an overhead crane or fork pockets can be specified for use with a fork truck.